If it ain't broke - Tweak it. 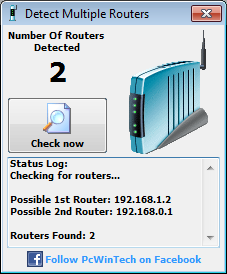 This program I made to help users determine if they are behind multiple routers. When port forwarding being behind more than one router will keep port forwarding from working without some extra configuration. This tool now makes that easier for the user. The program looks for known private IP's along the route the computer takes to the internet. This program will scan the registry for services from left over firewall software. When port forwarding, if a firewall program wasn't uninstalled completely it can still block the ports. 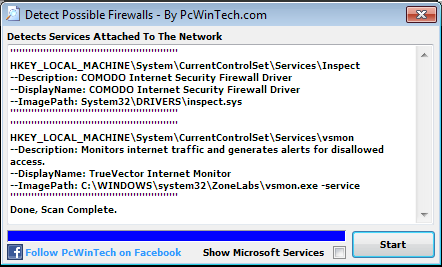 This tool will help check if any left over firewall service is still in the system. 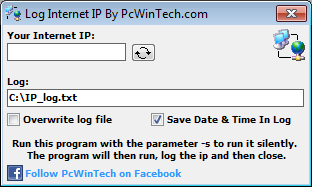 Per a user request I have made a very small IP logger. It will log your internet IP. Use the windows task scheduler to have it run as you like. With the -s command the program will run, grab the IP and then close. After having my kids lose my Roku remote for the 5th time, I decided to make a remote I could run from my computer till I find the one they lost! So I decided to share it with anyone else who needs it. Just enter the IP of the Roku and your ready to go. Enjoy! 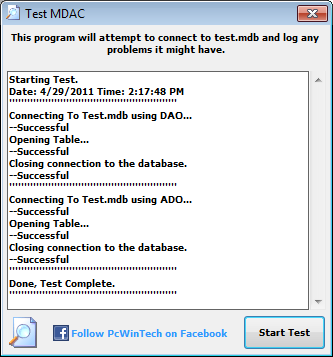 This will test the MDAC on a system by connecting to a database and reporting any errors (All test results are stored in the log.txt file). Some of my programs use a MS Access database and MDAC is needed for my program to read and write to the databases. This small app will repair your network. I use this app when I need to renew my IP address, clear the DNS cache because a network share or webpage isn't loading (Because the DNS cache is either corrupt or outdated) and so fourth.